It doesn't get any more Western than this one. 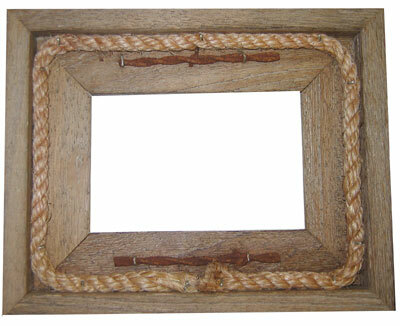 These frames are crafted from weathered wood that has finished its service holding up fences, bunkhouses, and barns. There's a run of barbed wire along the top and bottom long edges, and there's a rope border that goes the whole way around. It will accept a 4 X 6 Picture, and the overall dimensions of the frame are 8" X 10".